It’s been nearly 20 years since I was in college. I loved the freedom and was excited to see what the next chapter of my life would bring. The last thing on my mind was findings tips to save money in college. I had student loans, a little bit of money from my parents, and credit cards. I was going to be good, right? Unfortunately, that wasn’t the case. I graduated college with close to $50,000 in total debt that took me years to pay off. College is no doubt expensive, but you still want to have fun while in school. Thankfully, there are ways to cut down the cost without cutting down the experience. 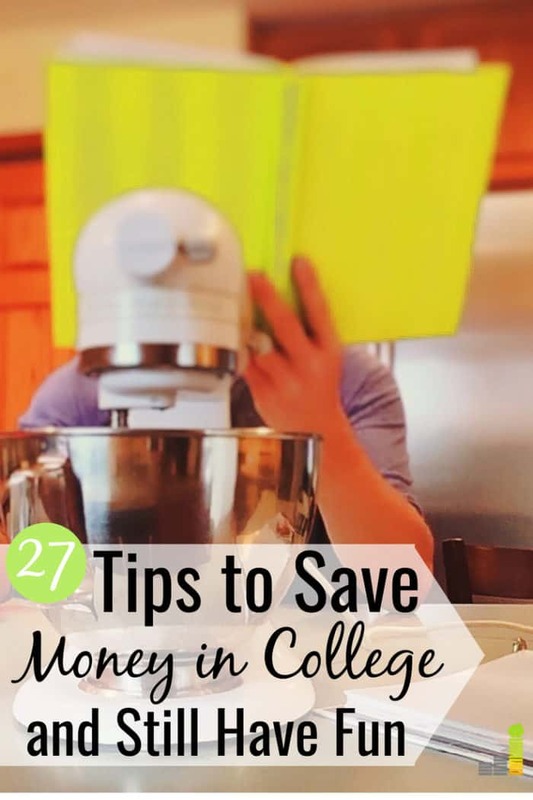 Whether you’re just starting college or have a few years under your belt, here are the best ways to save money in college that I wish I would have known about when I was in school. Ditch the car. Walk, bike, or use public transportation. Not only are they healthier options, but they’ll save you a big chunk of money. Apply for scholarships. This one is a given. Even if they’re in small amounts, that’s less money you need to pay out of pocket. Fill out your FAFSA. You’re too late for the 2018 – 2019 school year but you can start on the 2019 – 2020 school year as soon as October 1. It never hurts to see what kind of aid you qualify for. Don’t forget to keep the textbooks in good condition so you can resell them at the end of the semester. Use the library. Speaking of textbooks, if you only need it for a short period of time, check it out at the local library and spend nothing. Avoid cable. Really, how much time will you have to watch TV? Not only are there many things to do besides watch TV, you’ll also be busy with classes and other activities. Staying away from cable will save you easily $50-$100 per month. If you want to watch TV, Hulu is a great option at under $10 per month. If you must have cable, you can use Trim to negotiate your bill. Trim can not only cancel unused subscriptions, they also negotiate bills so you can lower your monthly cost. Not bad for a free app! Watch the binge drinking. It’s college, I know, but binge drinking is a huge drain on a budget, not to mention unhealthy. Pay your bills on time. This is another no-brainer. Pay your bills on time to avoid interest or late fees. Get a credit card. I know this one is controversial. Credit cards accounted for half my debt when I graduated from college. However, you can get a credit card with a small limit and use it once a month and pay it off in full each month. Not only will it help build discipline, but it will build your credit which will save you money in the long run. If you haven’t built up your credit yet, a secured credit card may be your best option. Here are some of the best available to get you started. Get a student bank account. Banks love to charge fees. Many local banks offer student accounts that require lower minimum balances that help you avoid those fees. Ask for student discounts when you buy anything. Many local businesses offer freebies and discounts to students. The best freebies for college students help you save money for other needs. It may not be much but if you have to buy something, it doesn’t hurt to save a little money. Learn how to cook. I know cooking seems difficult; it really isn’t. Cooking your own meals is one of the best ways to save money in college. You can find recipes online, many of which only require a handful of ingredients. Buy a crockpot – it’ll be your best friend and provide several meals instead of one. Make sure to use a grocery rebate app like Ibotta to get cash back on your shopping to help stretch your grocery budget even more. Find a part-time job. Working in college is not only a great way to make extra money, but it can also help you offset costs. You might also pick up valuable skills that you can put to use later in life. Live with others. If you live off campus, this is one of the best tips to save money in college as you can split housing, utility, and food costs. Attend campus events. Why pay to see a movie if you can see one for free, or greatly reduced, on campus? The same goes for concerts and other social events. Don’t put spring break on the credit card. This is one of the stupidest money mistakes I ever made. It sounded great at the time, but paying for the trip for months after wasn’t any fun. There are many cheap options out there if you do a little homework. Go to class. No-brainer, I know. But every class you skip is money out the window. Start a budget. Budgets aren’t for everyone but you won’t know until you try one. Start a simple budget by tracking what you make and how much you’re spending. It’ll help you control your spending so you’re not always out of money. Check out our guide on how to start a budget that is simple to manage and help you stay on top of your money. Go to happy hour instead of going out for dinner. The menu is usually cheaper, but you still get the fun of going out. Become a Resident Advisor. If you live on campus, this can be a great way to get free room and board and maybe even a paycheck. Make your own coffee. Coffee shops are fun to hang out in, but the costs can add up. Buy a cheap coffee maker on Amazon, invite some friends over, and save yourself money. Skip the gym membership. Your campus likely has one you can use for free (well, it’s likely part of your fees and therefore you’re already paying for it) so you might as well use it. Take as many classes as you can. I’m not saying you should burn yourself out because that’s the last thing you want. However, every extra class you take each semester accelerates your time to graduation – thus saving you money. Consider community college. If you’re not certain what you want to major in, or you simply want to knock out a few basic courses, community college can save you thousands of dollars. If you’re looking for how to save money as a college student, this can be a great way to lower costs with little effect on the quality of classes. Save money every paycheck. Assuming you have a job, take a portion out of your check each month and put it in a savings account. It doesn’t matter how much it is, just get in the habit of saving regularly. Many banks, like Barclays as they pay 2.20 percent on your cash (22x the national average). Use a coupon whenever you go out. You may not always find one, but use sites like Groupon, LivingSocial, or even restaurants’ websites or social media channels for deals and discounts. Don’t buy new. This is especially the case with decorating your apartment or dorm room. You pay a premium when you buy new. Buy used or even borrow from your parents or other family members to save money. 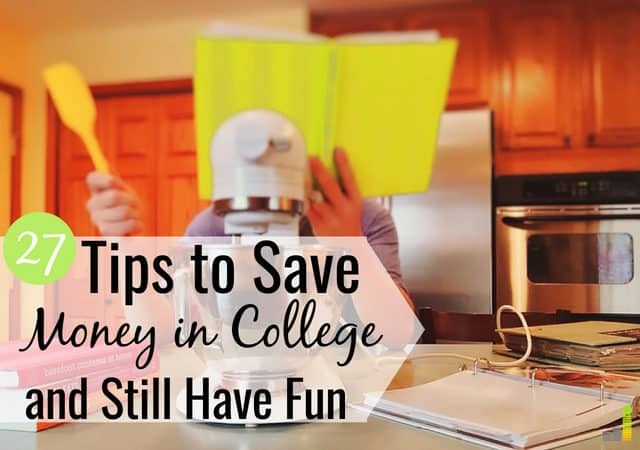 There are many other ways to save money in college; you just have to be creative and look for savings opportunities. Yes, you do want to enjoy your time in college, but you don’t need to spend a lot to do that. What are some other tips to save money in college? What’s one thing you can’t believe you bought in college? Do you think it’s important to work while in college? I did a lot of these in college! I didn’t have a car for my first two years and managed to wait tables in my hometown any time I had a break. I really wish I had curbed the binge drinking, though. I probably would have left college with a much larger cushion of savings! I feel the same way Kate, sad to think how much money I would’ve had with all the binge drinking I did back in college. That’s a hard deal to pass up Lila. I have the $10 membership at Blue Moon – it’s a pretty good value. This is a smart list! I agree with everything on it. I overspent on everything during my college years. I wasn’t very good with money in my early 20s! I wasn’t either, thankfully I wised up by my 30s! Great list! I did many of these things (though it’s been a long while). I worked throughout college in a work-study job and my wages went directly toward my tuition. I never saw a dime, but I think this really motivate me to follow through and do my best. So, even if I was out until 2 am, I still got up and went to class the next day! Sounds like a pretty good setup you had Amanda, I can imagine that was very motivating. I did a bunch of these. RA was definitely the easiest job I ever had. One thing I wish I’d done was keep applying for scholarships after you get there. I applied and got scholarships in high school, but didn’t keep it up once I was at school. Even though I had a full scholarship to attend college, I still worked part-time. It really helped me pad my savings account. Very cool on the scholarship, even better having a nice savings once you were done! Great list! In my home town, you were given free community college for 2 years if you volunteered for 50 hours. I did the volunteer work and qualified, but instead I went to a private university. I wasted so much money, UGH! Great post! Interesting that they’re making the FAFSA available in October now. I remember filling it out with my parents on new years every year. I would add season tickets as a big expense. My school had a D1 football program and as a result the tickets were fairly pricy, but most students ended up not showing up to most games. I suspect a lot of schools are similar (unless you’re a Michigan or any of those big programs in the south). Most of the time, you could get tickets for half the price the week before a game. I know, I remember doing the same exact thing. Great point, don’t know how I forgot that! I know my season tickets were at least several hundred dollars. Looking back, I’d still do it but there are certainly other things I’d cut. 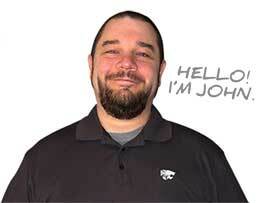 Great tips John! College is definitely a time when saving money can pay off huge long-term. Now if only someone could solve the issue of increasing tuition rates….I can’t imagine how much it will cost my kids (who aren’t even born yet) to go to college! Yep, I’m with you there. 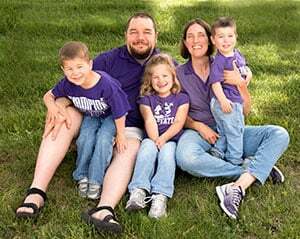 I shudder to think of what it’s going to cost our 3 little ones if they end up going.